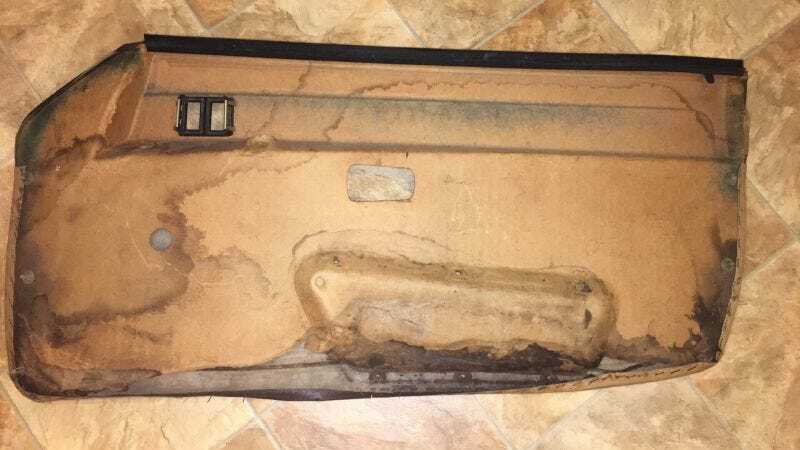 Remember how my door panels were rotten? I found the solution to my door card problem. The ones in the car now have black vinyl and don’t match the interior. However, the card material on those is clean, and vinyl on the rotten cards is still clean. And it was easily removable too. So I split the tan portion of the vinyl from the rotten cards that and will do the same with the black ones in the car now. Then I’ll stick/glue/velcro/ect. the tan portions in and I’ll have like-new original door cards!